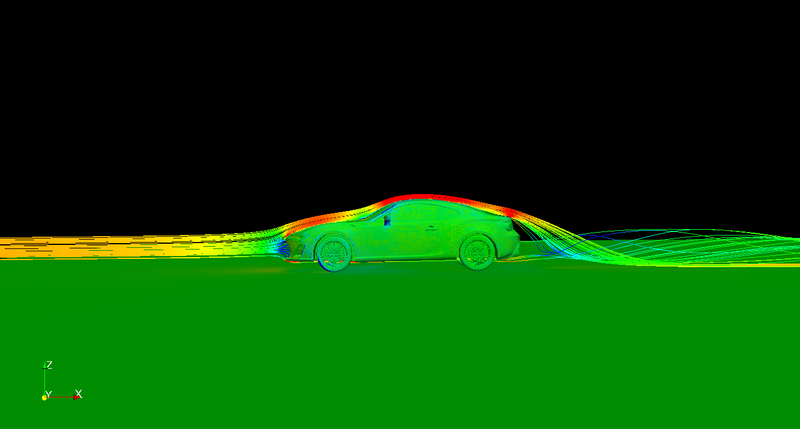 Paul had done some CFD work for the FR-S to get a baseline result. 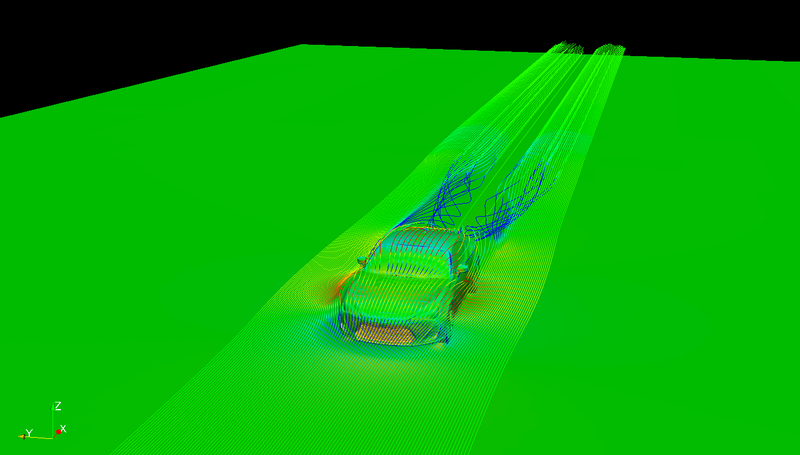 The model does have a flat floor, so the coefficients are not 100% representative to the real car since the underside of most vehicles resemble very rough surfaces. This effect however can be theoretically determined to have a maximum total decrease of the drag coefficient of 0.045 according to R. Buchheim . The results show the coefficient of drag is 0.262, close the OEM rating of 0.29. Using the theoretical data from the smoothed underside, the coefficient of drag we calculated is valid. The coefficient of lift is .179, meaning the car does generate lift in its stock form. Buchhiem, R., Leie, B., Luckoff, H-J., “Der neue Audi-100-Ein Beispiel fur konsequente aerodynamishce Personenwagen-Entwicklung,” ATZ, Vol. 85, 1983, pp419-425. This entry was posted in cfd and tagged fr-s, scion on November 4, 2012 by Earl.